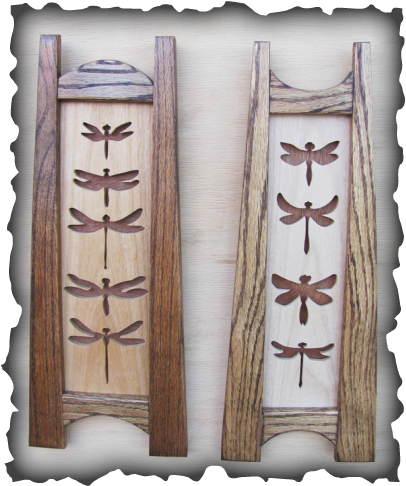 Inspired by the Annual Dragonfly Festival at Bitter Lakes National Wildlife Refuge near Roswell, New Mexico, I created intarsia and scroll-sawn insects just for the event. Five dragonflies or four? Take your pick! Arts and Crafts style frame with cedar cut-out. One of a pair, one facing right, one facing left. Large dragonfly on cattails. Note the gossamer wings. Dragonfly brooches and bird ornaments (scaled quail and chickadee). 3-panel frame with cicada, dragonfly and butterfly. 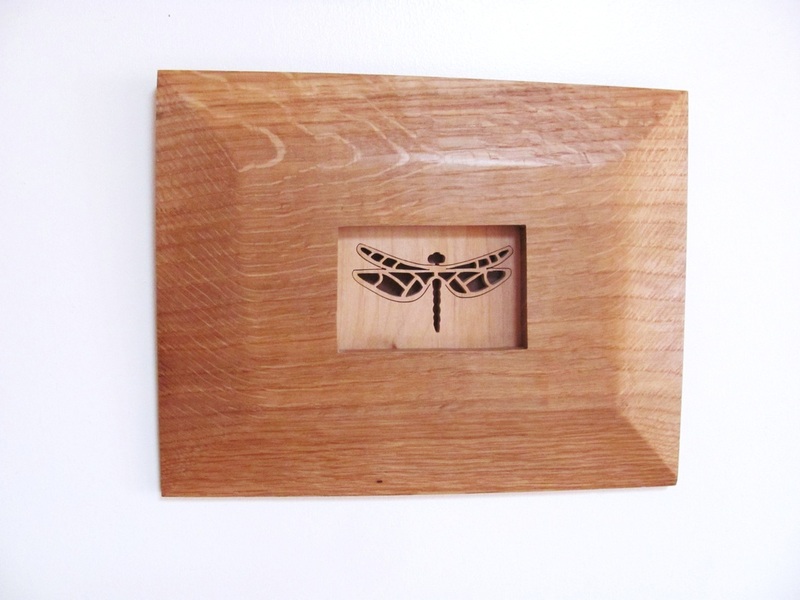 Small dragonfly in smooth white oak frame. 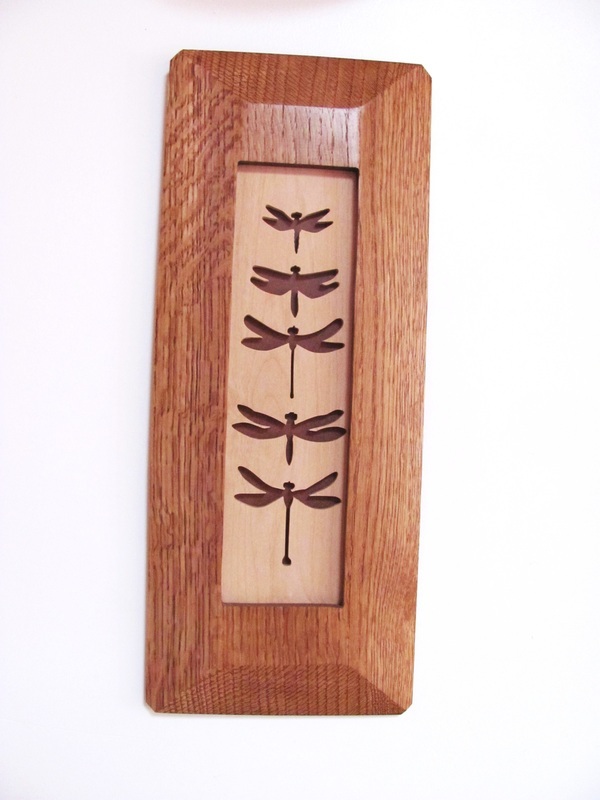 9" x 7"
Smooth frame dragonflies in white 1/4-sawn oak. 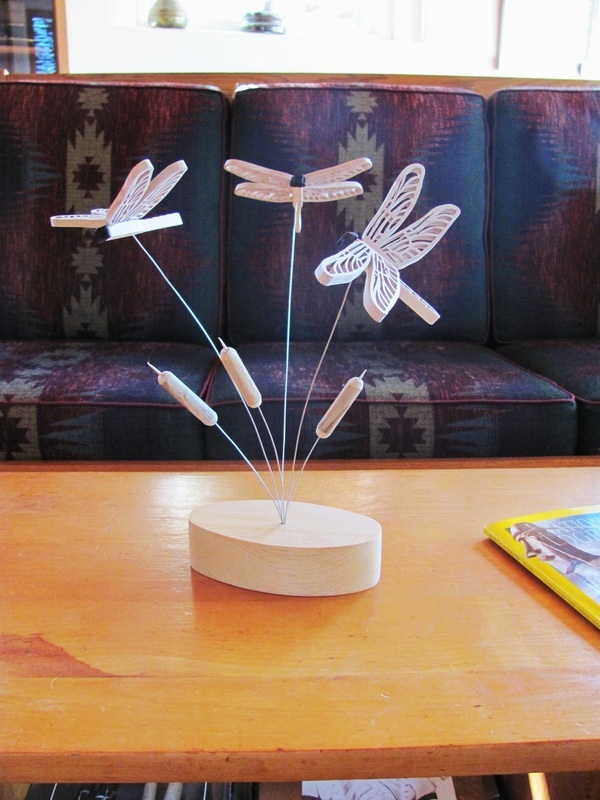 7-1/2" x 18"
Kinetic dragonflies on oval base. About 14" high. 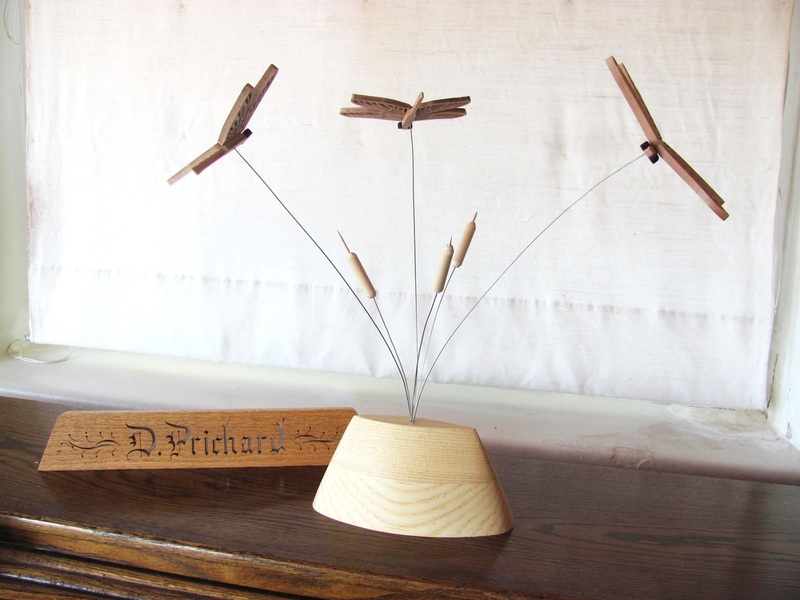 Kinetic dragonflies on ovoid base. About 16" tall. 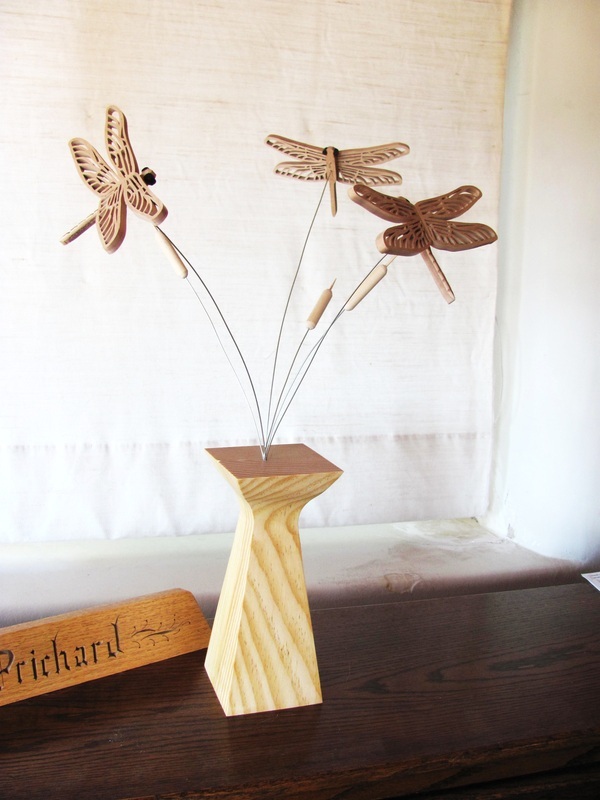 Kinetic dragonflies on pine vase. About 19" tall. 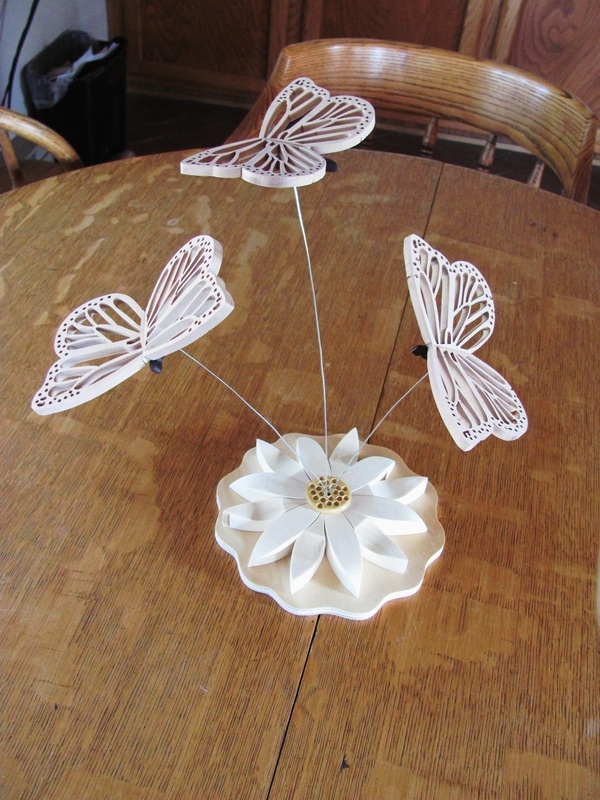 Butterflies over a lotus blossom. About 12" tall. 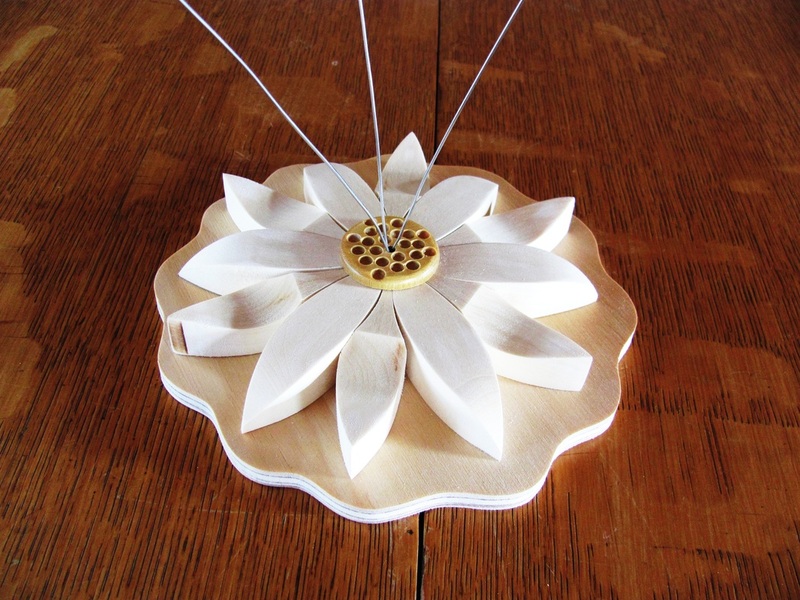 Lotus blossom made of aspen and yellowheart on birch plywood base. About 7" across.